A red velvet cake looks charming, tastes good and makes any celebration especially romantic ones more special. If you are planning to bring in this Valentine’s Day on a romantic note like never before, then we do suggest that order this ravishing red velvet cake would be a good idea. 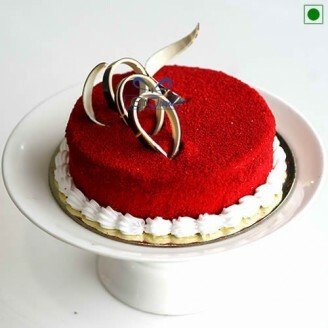 This round shaped cake garnished in such an alluring way- that you can’t resist it and would simply feast on it. Your romantic interest will certainly appreciate your choice of cake and your Valentine day will become more special. 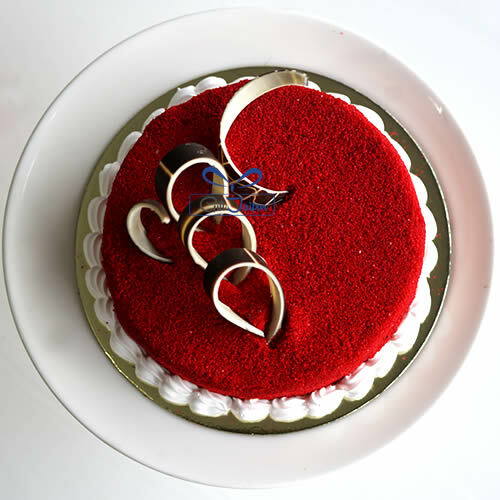 Make your celebration lovelier with this beautiful and charming red velvet cake. This cake will become a popular point of discussion among your guests if you host a party and let your near and dear ones feast upon this delicious cake. You can celebrate your birthdays, anniversaries and even family get-togethers with this oh-so-beautiful looking cake which will attract everyone’s attention at the first glance. Moreover, its taste will surely leave guests craving for more.